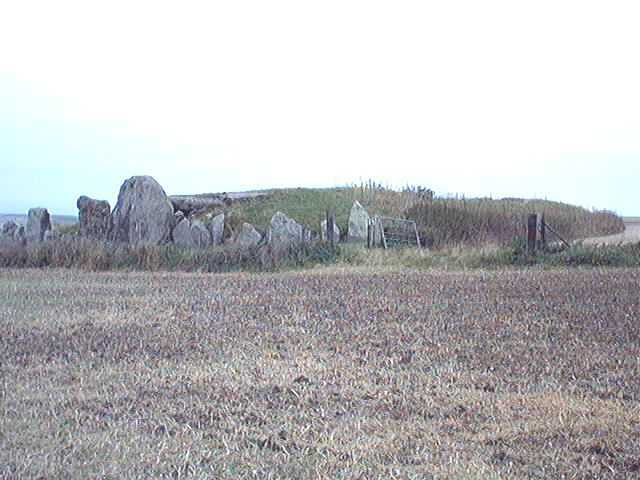 West Kennet Long Barrow is one of the largest long barrows in Britain, and consists of a wedge-shaped mound of chalk 330 feet long and 8 feet high at its eastern end, dug from a massive quarry-ditch (originally 10 feet deep and 20 feet wide) running around the mound but not across the eastern end, and separated from it by a berm about 30 feet wide. 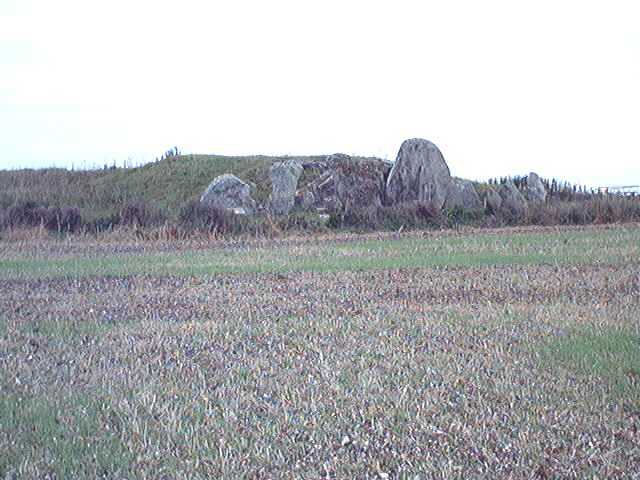 The barrow would have originally been built around 4000BC. 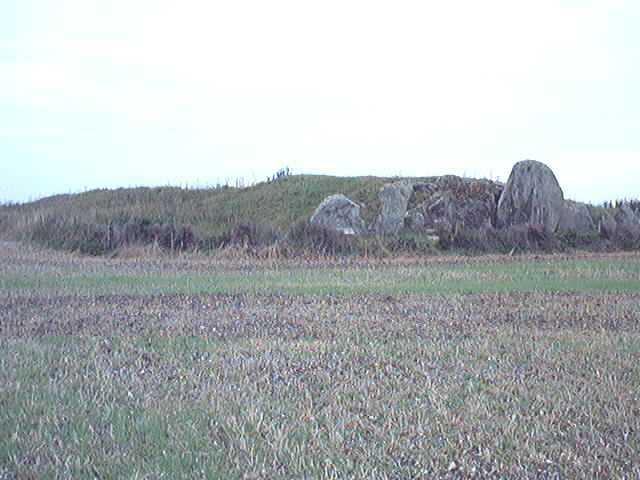 Excavations have revealed that the core of the mound was built of large sarsen boulders, with a kerb of sarsens running around the edge of the mound. 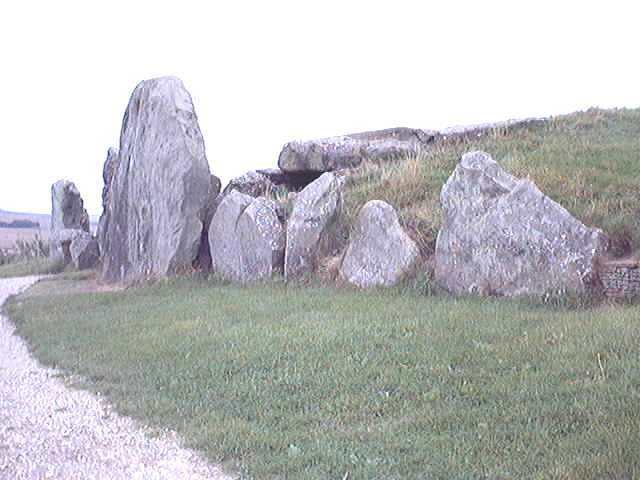 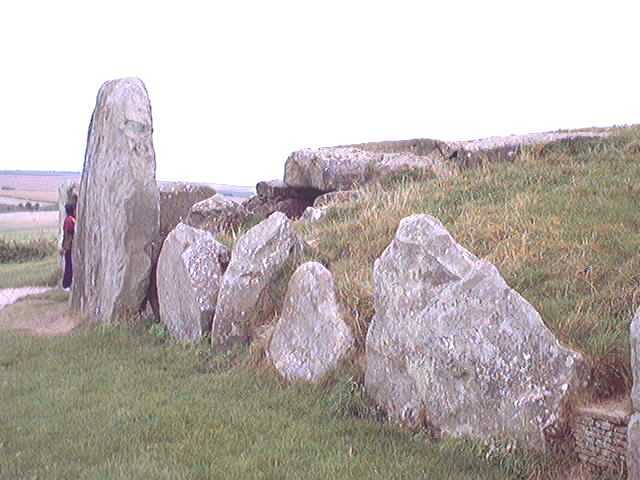 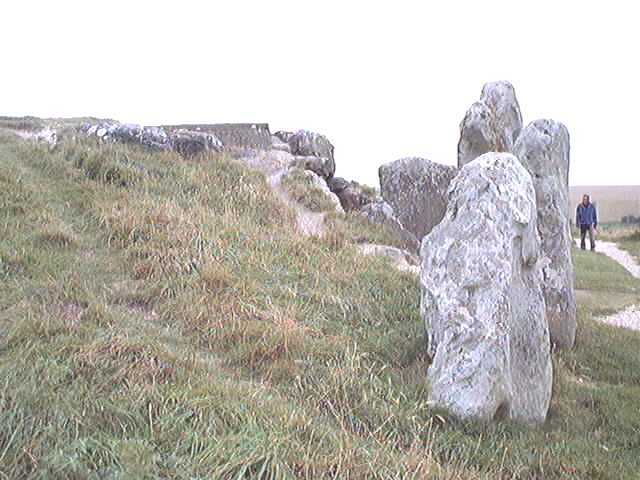 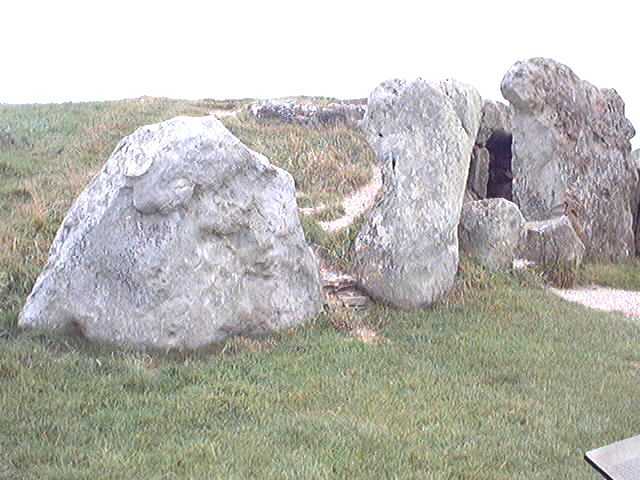 At the eastern end of the mound, a gallery gives access to five burial chambers, leading in from a concave forecourt defined by large stone uprights. 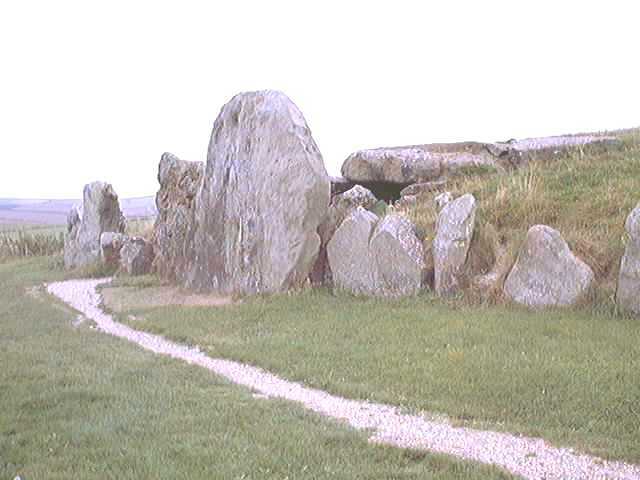 The forecourt is closed by one enormous blocking stone and several smaller ones... these hide the curve of the original facade. 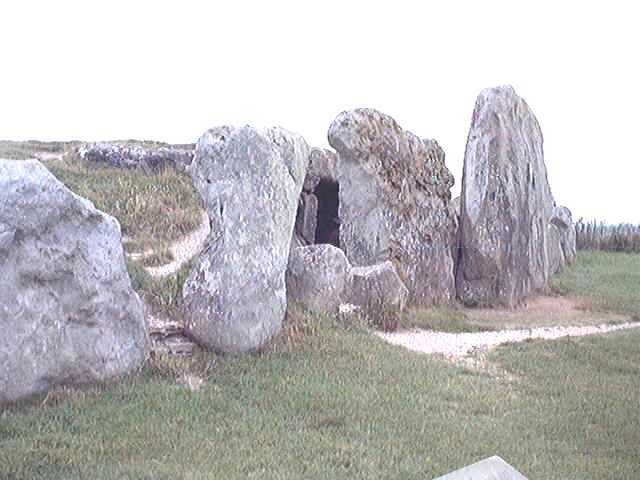 The straight facade you can see now was set up when the last Neolithic funerals had taken place, probably around 2200BC. 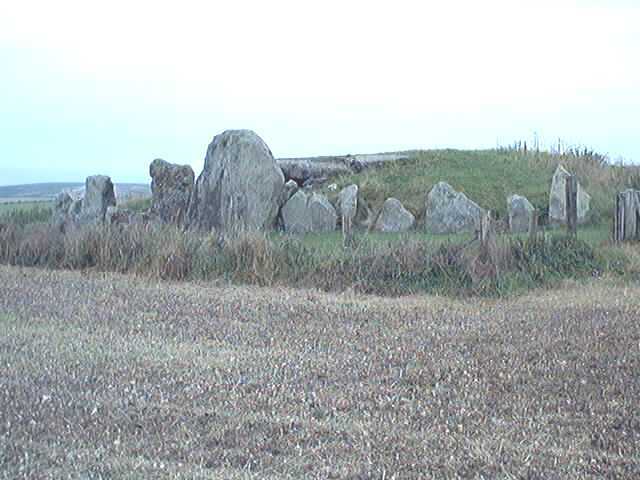 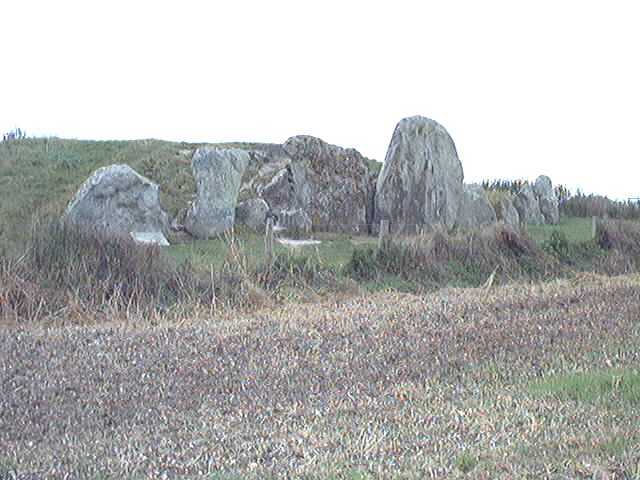 The walls and capstones of the gallery and chambers are sarsens from the Marlborough Downs, while the drystone walling that fills many of the gaps between the uprights is of oolitic limestone from the area around Calne, about 12 miles to the west. 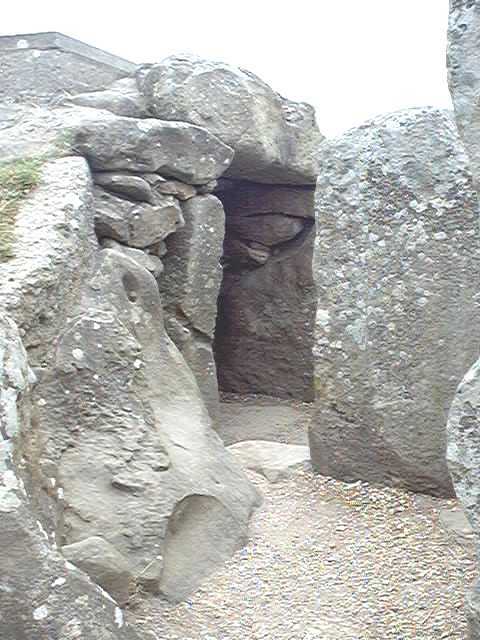 About 30 adults and children were buried in the long barrow early in the Neolithic period... subsequent deposits of pottery, ornaments and food in the gallery and chambers suggest that native Neolithic people, including Beaker Folk, returned at intervals to perform rituals.